When you are done watching the Korean drama Pasta (2010) I cannot promise you that you will become a gourmet chef, but you WILL learn something about how incredibly hard it is to run a 5 Star restaurant, all the creativity, energy, patience, humility, gumption, humor, and intelligence it takes to run an award winning business in a competitive field. You will feel like you are leaving family members behind when the curtain closes on this show. I could tell everyone in this great ensemble worked very hard on this series. The kitchen work alone must have exhausted cast and crew, it was all done at a ferocious pace, but it was all fascinating! This is a good series to watch after you've enjoyed the popular lead actress Gong Hyo Jin in Master's Sun. You will understand why actor So Jisub, her co-star in that show, calls her "The Queen Of Romantic Comedy". She simply sparkles on screen in Pasta and is a delight to watch. She can make you laugh and cry, all in the same scene! She is definitely one of my top favorite Korean actresses. I'd also highly recommend her in the drama Thank You as well. On the other hand, the lead male actor's character will definitely require time to grow on you - especially on most female viewers of this show. I've watched it twice now, and while the second time was easier for me because I knew his character softens during the course of the show, the first time was very hard for me and I really disliked him for a long time; he is the Master Chef and gives the orders - mostly BARKS the orders - and it's only when he's off work that he seems to be more human. The actor, Sun Gyun Lee (Coffee Prince), is not classically handsome either; even his face has to grow on you! All that said, I DID grow fond of him by the end of the show and understood him more. For instance, in one telling scene, he quietly speaks about how he was abused as a chef in training by his own Master Chef, hit with pans until he was black and blue and ready to pass out! The restaurant business is definitely not for the weak or faint of heart. Our Story Begins with our kitchen assistant Yoo Kyung Seo (Gong Hyo Jin) who has worked at a 5 Star Italian restaurant in Seoul called La Sfera for three years and she has just earned the right to graduate to assistant cook, using her own skillet for the first time. She is thrilled; the restaurant is her life blood, her own father Jong Gyu Seo (Yong Jang) is a chef with his own small Chinese restaurant and she'd really like to impress him. Her greatest dream is to become a top pasta chef, like the popular female chef star she sees on her TV every morning, who has her own cooking show, named Sae Young Oh (beautiful actress Ha Nui Lee, who played Nam Gil Kim's personal assistant in Shark). At the market on the morning when she is to begin her first day as an assistant chef a lady vendor hands Yoo Kyung a bag of water filled with 2 goldfish. "We're giving them away for free, please take them". So Yoo Kyung grabs the bag and runs to the restaurant; however at a cross walk on the street near the restaurant she bumps into a man and the goldfish bag tumbles onto the street and breaks. The two fish gasp for breath in the middle of the road. The man stops to help her. "Cup your hands together", he says and pours water into them and then he picks up the fish and puts them in her hands. "Where do you work?" he asks her and she leads him to the back entrance of the restaurant and he opens the door for her. He's a bit of a flirt, and even asks her out for a drink later, which intrigues her, but she goes inside and puts the goldfish in a large wine glass and pours more water into it. The kitchen of the restaurant is to be their home for the remainder of the show. 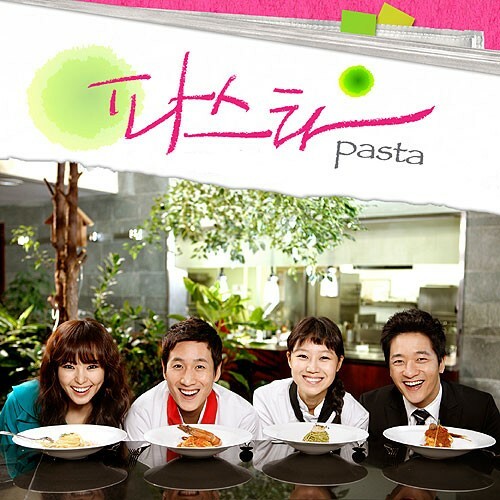 Then the new Master Chef Hyun Wook Choi (Sun Gyun Lee) is introduced to the team of chefs, and to Yoo Kyung's surprise he is the same man who helped her with the goldfish. He seems nothing at all like the nice flirty guy she had met on the street, he is brusque and rude and strict and yells out commands constantly to the crew of chefs, most of them with years of experience. He picks out a nickname to call her - Goldfish, and barely uses her real name for the remainder of the show! But somehow she rarely seems to mind the abuse, she is a docile and humble and sweet person and little by little she breaks down his reserves with her innate sweetness and light until he starts being more respectful of her. "I've never met a girl like you", he eventually admits. She is not aggressive at all, even when she probably should be! Every morning for the three years Yoo Kyung has worked at the restaurant someone has placed new pictures of cactus plants on the door to her locker, because that person knows she likes prickly plants (maybe that's why she starts to like Chef Hyun Wook so much!). She doesn't know who is doing it but the audience quickly figures it out, it's the president of the restaurant corporation, San Kim (handsome actor Alex Chu from I Need Romance 3) who has had a silent crush on her for years. Unlike Master Chef Hyun Wook, San Kim is a total gentleman, shy, respectful, kind to everyone, patient, all the virtues lacking in the chef are to be found in the president. (I would have picked him in a nanosecond, but I am not Yoo Kyung!). Yet another example of K-drama writers driving their audience members crazy by dangling an attractive second male lead before their eyes! I call this strange disease Second Male Leaditis. Eventually a bit of a rivalry begins between the two men for Yoo Kyung's affections, which becomes even more complicated when the popular TV chef Yoo Kyung has watched every morning, Sae Young, is hired as a second Master Chef in the restaurant. It turns out she had been lovers with Hyun Wook for years in Italy while they were both training to become professional chefs, and Sae Young is interested in re-establishing a romantic relationship with him. Meanwhile Kam King (Jung Soo Byun), Sae Young's sister, is encouraging her to pair off with president San Kim instead, thinking they are much more compatible as a couple, since Chef Hyun Wook seems rather pre-occupied with Yoo Kyung. When Hyun Wook had first met Yoo Kyung on the street he had told her that her goldfish would die soon because they were females, and females didn't belong in a kitchen! Well the goldfish never do die, but Chef Hyun Wook fires all the female chefs in short order, who go off in a huff and start their own little restaurant. Yoo Kyung refuses to be fired and comes to work every day anyway and grudgingly Hyun Wook lets her stay. Slowly she builds up her cooking skills until she even wins a cooking contest against her TV idol female chef Sae Young! In shame Sae Young goes off into a depression for awhile, and even tells Yoo Kyung that she was lovers with Hyun Wook while they were in Italy together, but not even that fact detracts Yoo Kyung from her personal ambitions to become a great pasta chef and to learn under the abusive but supremely talented Master Chef Hyun Wook. However there is a rule in the restaurant establishment that no employee is to date or have a personal relationship with another employee. Master Chef Hyun Wook is breaking the rule by growing closer and closer to Yoo Kyung. A jealous server spies on them, sees them kissing on the street, and spreads gossip about them. Chef Hyun Wook resigns, to the great chagrin of the other chefs, for even though he was a rude son of a gun to them they all respected his hard work ethic and talents for organization. The restaurant starts to flounder when he's gone, even though Sae Young is there to take his place. Some try to persuade him to return, but with little success ... at first. Then Yoo Kyung wins yet another pasta cooking contest and the prize is three years free attending a cooking school in Italy, but will she want to separate from Chef? 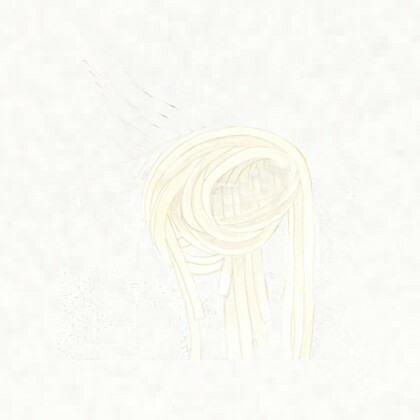 What does she love more, pasta, or being with the man she loves? I really loved all the secondary characters in this show, especially all the cooks. My two favorite secondary characters were Philip (drop dead gorgeous actor Min Woo No, who played the veterinarian in My Girlfriend Is A Nine-Tailed Fox), who was a chef who had trained in Italy and was the love object of the aggressive sister of Sae Young, and Eun Soo (Jae Hwan Choi) the plucky kitchen assistant whose personal habit of sharing lollipops with restaurant workers seemed to work wonders for winning him friends on the job. There were a lot of cute moments in the show, nothing that really made me laugh out loud, but gave me lots of warm amused smiles instead, and a few times when I even cried or cheered! The music score was excellent too, especially the recurrent theme of the old folk tune The Minstrel Boy. I will never again be able to hear that famous tune without thinking of this Korean drama! I must admit it was a very big relief to see that all the cooking segments focused on Italian and French cuisine instead of Korean. Kimchi and seaweed soup are simply not my bag! If you like cooking or baking in general then seriously consider watching this drama, your mouth will water at many of the dishes that are prepared, and you might even learn some new things about cooking, like the proper way to make foie gras! (a dish I have never prepared in my life).